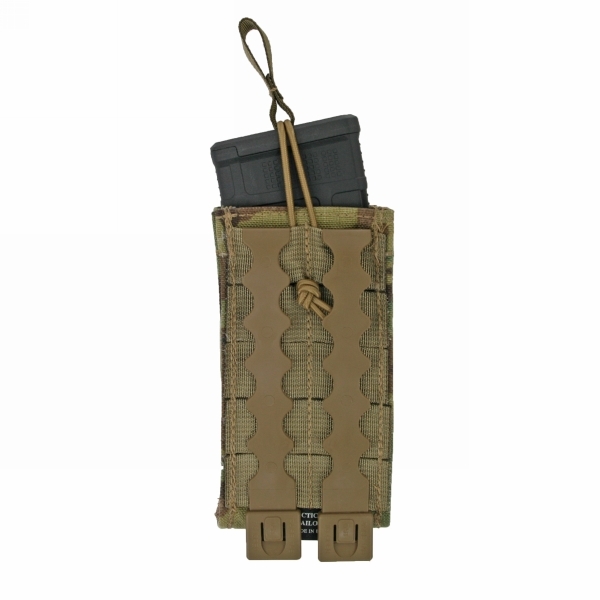 The open top design includes a bungee retention strap to allow for silent removal of your magazine. 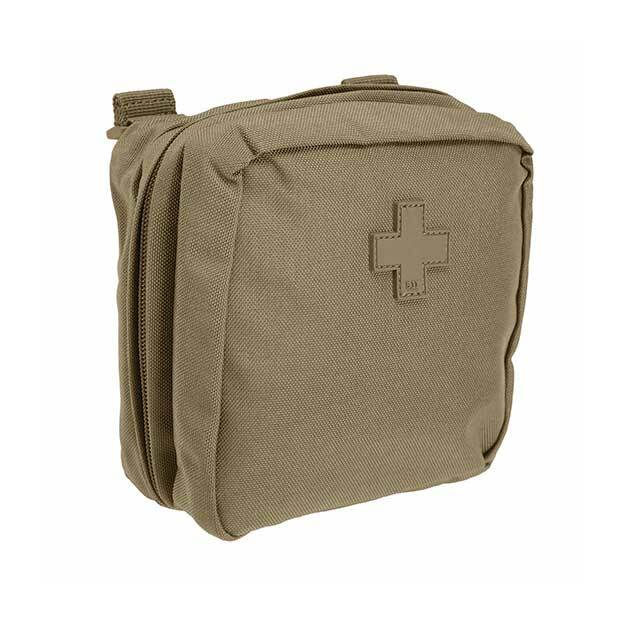 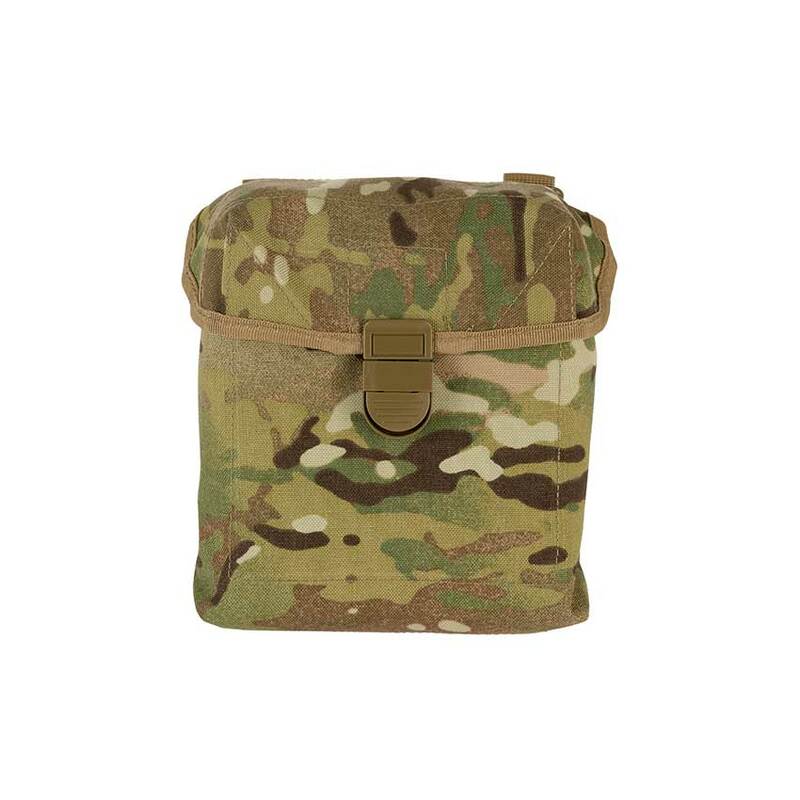 The pouch also features modular webbing on the front and back, allowing the user to stack other modular pouches on top of it, as well as the ability to securely carry a standard size pistol. 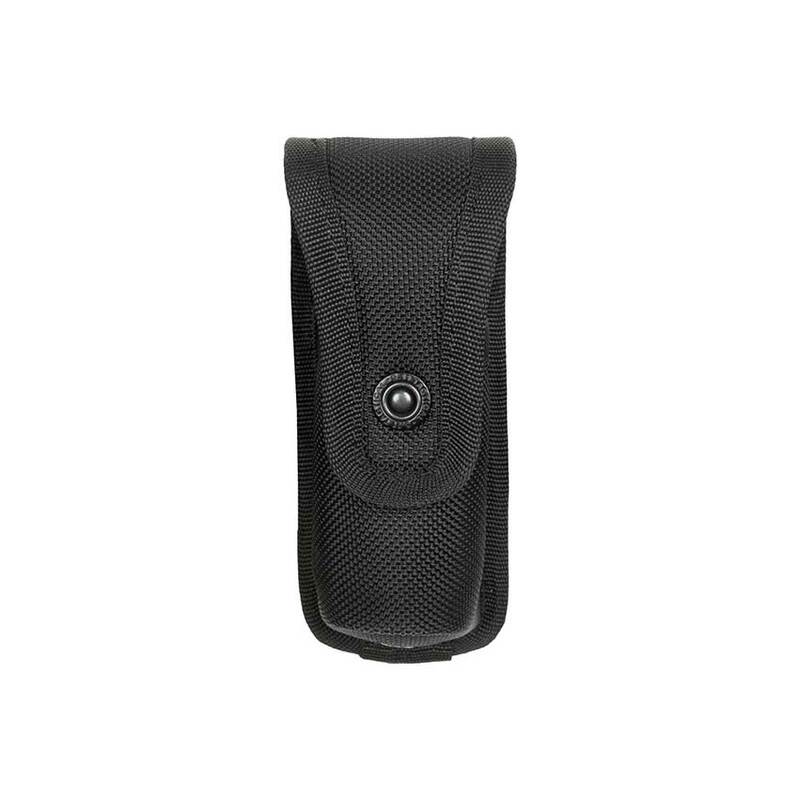 The retention strap will keep an M9 or 1911 sized weapon secure until you want to remove it. 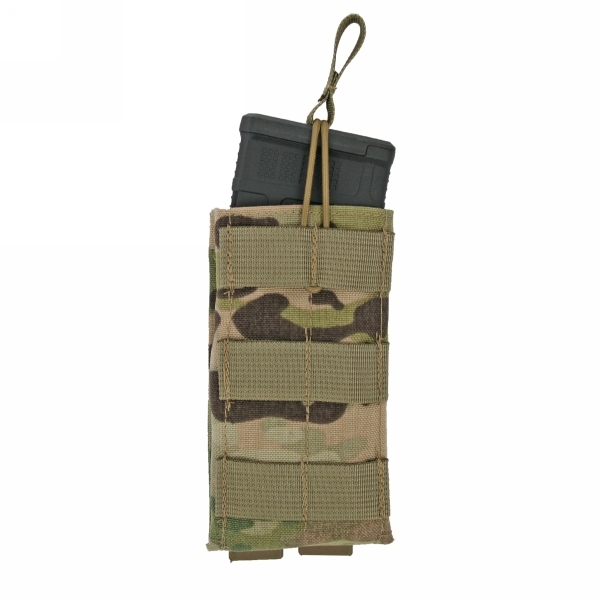 Attaches to any MOLLE/PALS style webbing using two included long MALICE CLIPS.